The DuanWu Festival, also often known as the Dragon Boat Festival, is a traditional holiday originating in China, taking place on the 5th day of the 5th month of the lunisolar calendar, occurring near the summer solstice. In 2018, it occurred on 18 June. Traditionally, DuanWu Festival marked the beginning of the summer solstice, as the weather starts to heat up during the longest day of the year. This is also the time when insects and snakes start to become active once again from their dormant stages. Thus, the 5th month of the lunar calendar is also associated with “the month of hundred poisons”, or “the month of malice”. As a result, people would often use moxibustion to expel poison and ailments during the season of DuanWu. Today, Moxa or moxibustion is the ancient hyperthermia therapy ideal to improve the circulation of Qi and blood flow, taking care of the body as a whole. It is not only commonly applied in warming the channels for pain managements, but also useful in various internal medical issues such as infertility, or gastrointestinal disorders. In addition to burning of the moxa leaves, another common practice to strength the body and prevent ailments in the coming seasons is the application of Celestial Moxa near the summer & winter solstices. Tian Jiu, or Celestial Moxa, is a preventative treatment involving the use of herbal patches on the San Fu Days, which refers to the hottest 3 days of the season after the summer solstice, as the earth is most abundant with heat and Yang energy. During which, the human body is also correspondingly full of Yang Qi and open pores, making it most receptive to the benefits of the external herbal treatments. Thus, by applying the moxa patches that are acrid and warm in nature, the herbs would be able to course through the meridians and collaterals, alleviating body’s Yang energy and expelling concealed coldness. Therefore, Celestial Moxa is not only ideal for treating winter respiratory conditions such as allergies and asthma, but also suitable for individuals with a deficient and cold constitution, who commonly notice aversion to cold and wind, or is prone to catch colds frequently during the winter season. 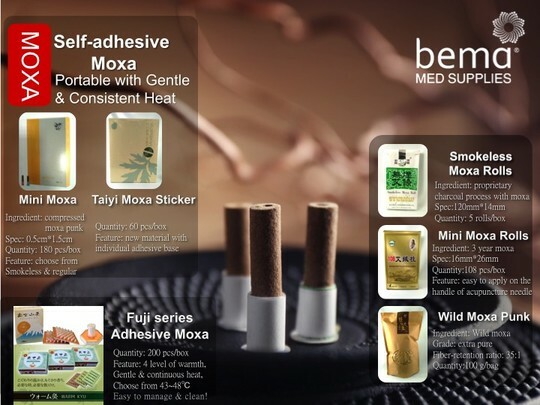 Team Bema recommends the Extra Pure grade moxa sticks, which are hand rolled individually and have a fiber-retention ratio of 30:1, suitable for direct or indirect moxibustion. 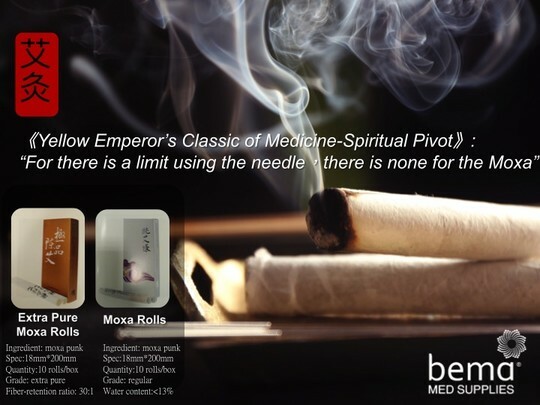 -Free shipping* on your order with the purchase of 10 boxes of Extra Pure Moxa Rolls.